We are a periodontal practice, which means we are specialists in everything to do with gum disease, bone and gum tissue and dental implants. 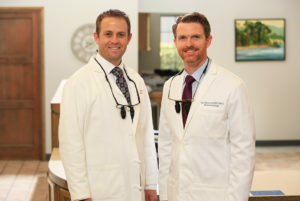 We are the go-to periodontists for many general dentists in the San Gabriel Valley and beyond. We are known for our state-of-the-art, minimally invasive technology and gentle, thorough care. 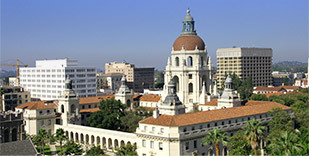 We have been in practice in the heart of Pasadena since 1985. We have a comfortable and spacious building with plenty of parking and plenty of room to give you the service you need. 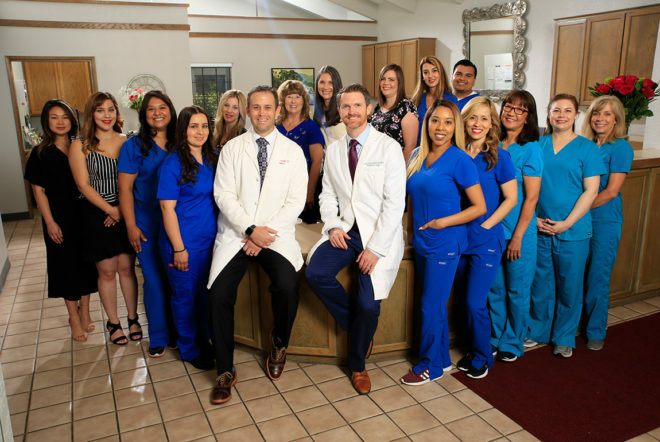 Whether you have been referred to us by your general dentist, or you have come to us directly via this website, we welcome you to our periodontal practice! Our excellent doctors and staff will take good care of you. We are very knowledgeable and experienced, and we have your best interests in mind at all times. We always take the time to listen to what you have to say, to explain procedures and to answer your questions. Our patients find Drs. Hendry and Henriod very approachable and friendly. We make sure that you are comfortable and pain-free at all times. And with our minimally invasive treatment and prompt scheduling, you will be in and out of the chair in a minimal amount of time. We educate our patients about the most current technologies and techniques that help save their teeth. As periodontists we have seen it all, and know how to return to health even the most deteriorated dental condition. Where we have a patient with broken-down teeth, our first priority is to do what we can to save existing teeth, weighing whether the teeth can be saved, the cost to save them and for how long. You can take advantage of our special offers for new patients and schedule an appointment with us to get your teeth and gums on the road to full health and beauty.